Scavolini was founded in Pesaro in 1961 thanks to the initiative of the brothers Valter and Elvino Scavolini. In a few years it was transformed from a small company for artisan production of kitchens into one of the most important Italian industrial companies. 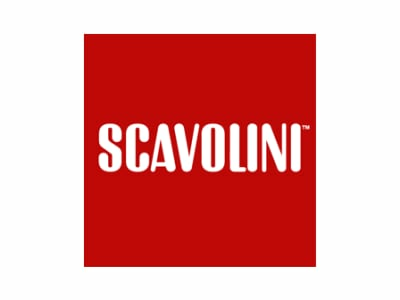 In 1984 Scavolini gained complete leadership in the kitchen sector in Italy, a position it still holds today. In a short time span it has reached remarkable size, and now relies on industrial facilities with an area of 200,000 m2 (90,000 indoors), with 550 employees and annual sales, in 2014, of 173 million euros. The supply chain for components and parts that has grown up around the company over the years is now an important factor for the local economy. 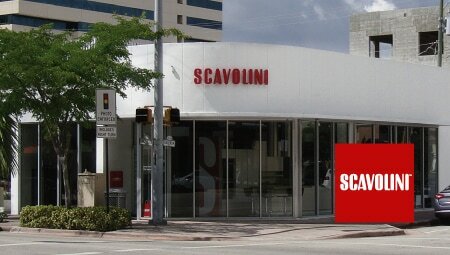 Scavolini Store Miami, opened on 26 September 2013, is a space of 300 m2 that joins the Scavolini Soho Gallery opened by Scavolini USA in 2010 New York. Located in the immediate vicinity of the Miracle Mile, in Coral Gables, the Miami store displays the production Made in Italy of the leading brand in the Italian kitchen sector since 1984, now also a protagonist of the bath and living sectors.